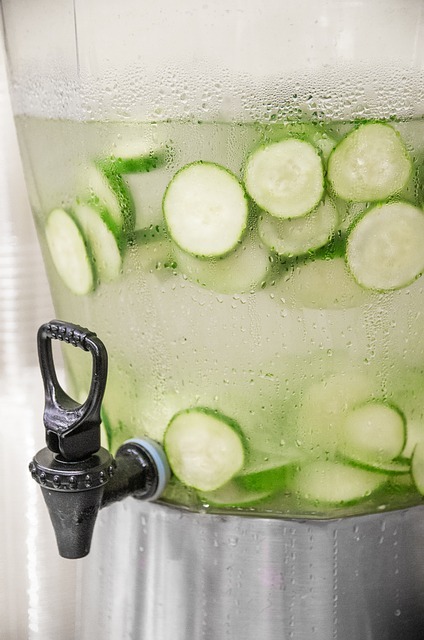 The benefits of infused water and 10 infused water recipes! Have you heard about or tried infused water yet? Fruit infused water has become a hot topic for discussion at the gym, the office and in friend circles. 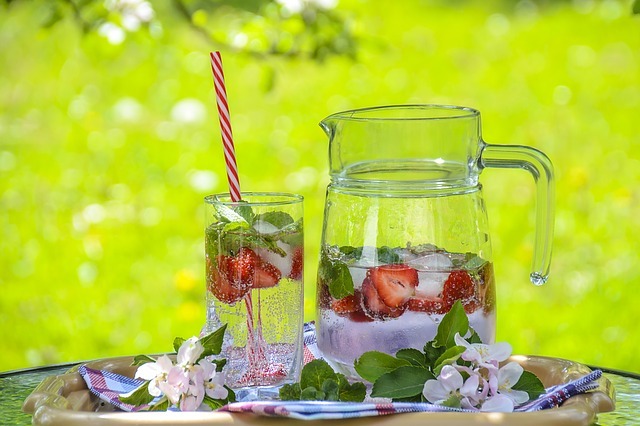 Although the new health trend of infusing water with fruits and vegetables is fast catching up all around, there are a lot of people who are still unaware of what infused water is and how it can benefit their health. So, let’s first throw some light on what infused water really means and how easy it is to infuse your water. 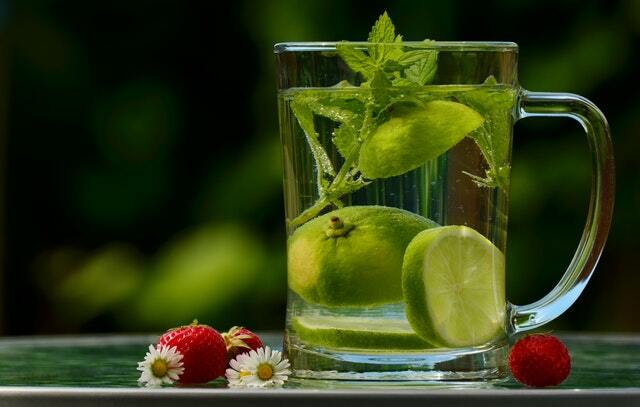 Also referred to as detox water, infused water is known for its high nutritive value. To have a glass of infused water ready, all you need to do is grab some pieces of fresh fruits, vegetables and herbs and immerse them into your water. Infused water is so named because you simply allow fruits and vegetables to leak out juice into the water; it’s not essentially juice. Before we know about some of the coolest infused water recipes, let us talk about the key benefits of infused water. Drinking an adequate amount of water everyday is important for keeping yourself hydrated. Everyone knows that, but the reason that water has no taste discourages a lot of people from drinking water in a quantity that’s good for the body. 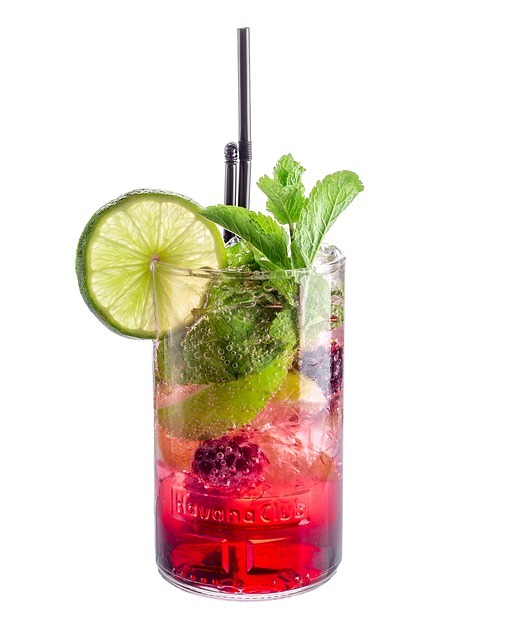 If this sounds like you, infused water is all you need because it’s flavoured. You can infuse your water with fruits and vegetables of your choice and drink more water as a result. Not having a nutritive diet can make your body fall prey to multiple diseases. If you plan to have good health and maintain it for the long term too, you need to get a regular supply of vitamins and minerals. Infused water, since it has fruits, vegetables and herbs immersed into it, is a good source of various nutrients your body needs. The presence of antioxidants in your infused water can quickly slow down the ageing process. Antioxidants don’t only fight ageing but they also boost the production of collagen (A fibrous scleroprotein in bone), which gives you smooth and shiny skin. Infused water is a proven recipe for weight loss. It has very small content of sugar in it. Plus, active compounds in fruits help you burn the extra fat in your body. 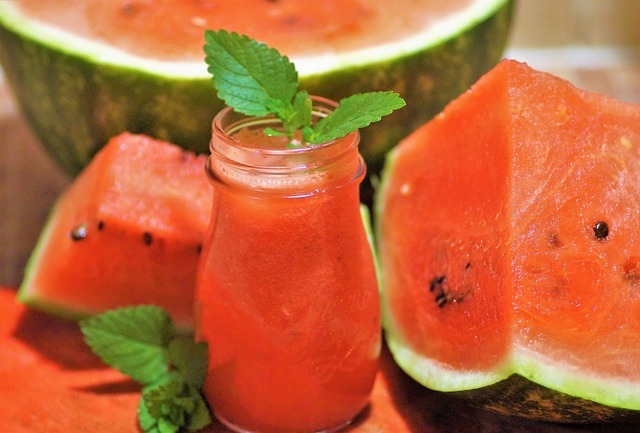 Many fruits are known to curb hunger and so when you infuse them into your water, you’ll find it easy to gain control over your eating habits and start losing weight. Having lots of energy throughout the day is essential for success in any field, professional or personal life. Over time, different types of toxins accumulate in our body. Though our body keeps on working to remove impurities from the blood, it needs our help too. 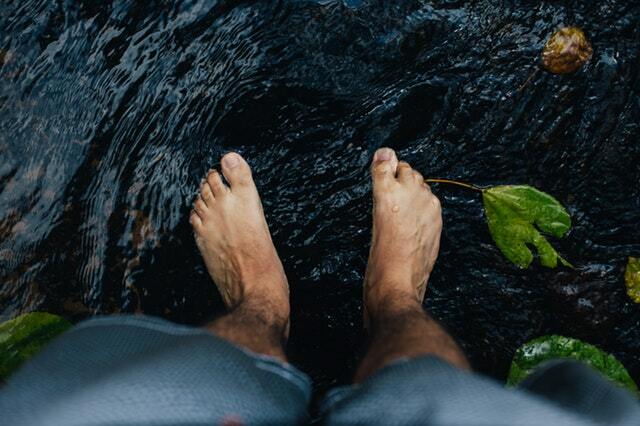 We can help our body by taking in enough water. If you drink infused water, you’ll help keep your body well-hydrated at all times and help your body remove toxins easily. The antioxidant content in the infused water acts as a great catalyst to detoxify the body. 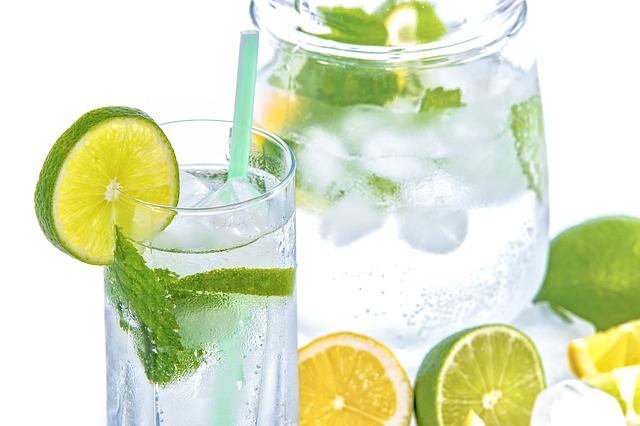 Now that you understand the benefits of drinking infused water, you should also learn about some interesting, flavoured infused water recipes that you can use as a great alternative to plain water. Take a cucumber and cut it into thin slices. Now, grab a half-gallon glass jar and put the cucumber slices in it. Add 4-5 fresh mint leaves and fill the jar with filtered water. Give the jar a gentle stir and place it into the fridge for 6-8 hours. Get a watermelon and chop it into fine pieces. Put the pieces inside a gallon size glass jar. Next, add 8-10 basil leaves and pour filtered water into the jar, to capacity. Leave it for 4-6 hours. Grab a lemon and slice it into four halves. Put the lemon pieces into a half-gallon glass jar. 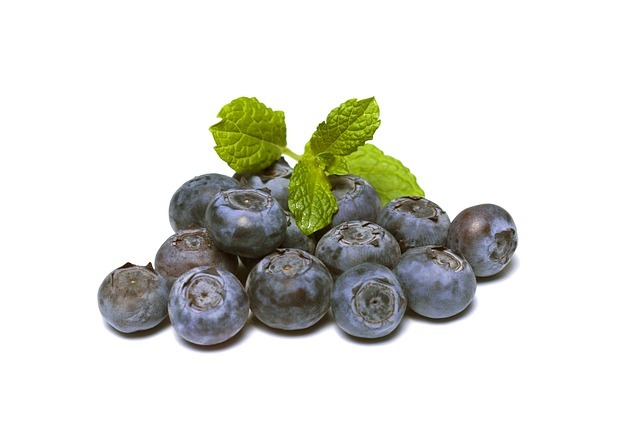 Then put half a cup of blueberries into the jar and fill the jar with filtered water. Give these fruits at least 4 hours to leak juices into the water. Like cucumber mint, but a lot better. Take 10-12 strawberries, finely sliced, and put it inside a half-gallon glass jar. Next, add 4-5 fresh mint leaves (don’t forget to tear them) and fill the glass jar with water. Give it a little stir and let it rest for 4-5 hours. Take a fresh lime and cut it into thin slices and put it into a gallon-size glass jar. Now, add 8-10 fresh mint leaves (muddled) and fill the jar with filtered water. Feel free to add a slight amount of sugar for nicer flavour and give it a gentle stir. Grab two apples and slice them into small, thin pieces. Put these apple pieces into a half-gallon glass jar. Now, add a pinch of powdered cinnamon (for a wonderful aroma) and fill the glass jar with water. Stir the jar a little and put it into the fridge for 4-6 hours. Take a fresh lemon and slice it into two halves and put the slices into a half-gallon glass jar. Now, add one sliced lime and 8-10 muddled mint leaves and fill the jar with filtered water. Shake the jar gently and leave it to rest for 6-8 hours in the fridge. Take one cup of fresh cherries, cut in half, and put it into a half-gallon glass jar. Add a thinly sliced lime and fill the glass jar with water. Leave it in the refrigerator for at least 4 hours. Add one thinly sliced orange and half a cup of blueberries to a half-gallon glass jar. Stir it lightly and refrigerate for 4-5 hours. Peel and slice 2-3 1 inch chunks of ginger and put it inside a half-gallon glass jar. Next, add 3 sliced peaches (ripe) and one sliced lemon to the glass jar. Finally, add 8-10 fresh mint leaves and fill the jar with filtered water. Leave it in the fridge for 4-6 hours. If you take your health seriously, you can’t say ‘No’ to including infused water in your daily diet. Enjoy the benefits and don’t forget to let me know which one of the above-mentioned recipes is your favourite one.